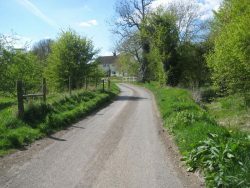 Welcome to the website of the Parish of Ogbourne St Andrew, Ogbourne Maizey and Rockley. We hope that parishioners will visit this site to check up on news and current events and to keep an eye on the workings of The Parish Council. We hope that visitors from outside the parish will find it provides an interesting insight into our beautiful parish and decide to visit us in person.